Green Acres provides a mix of recreational opportunities. 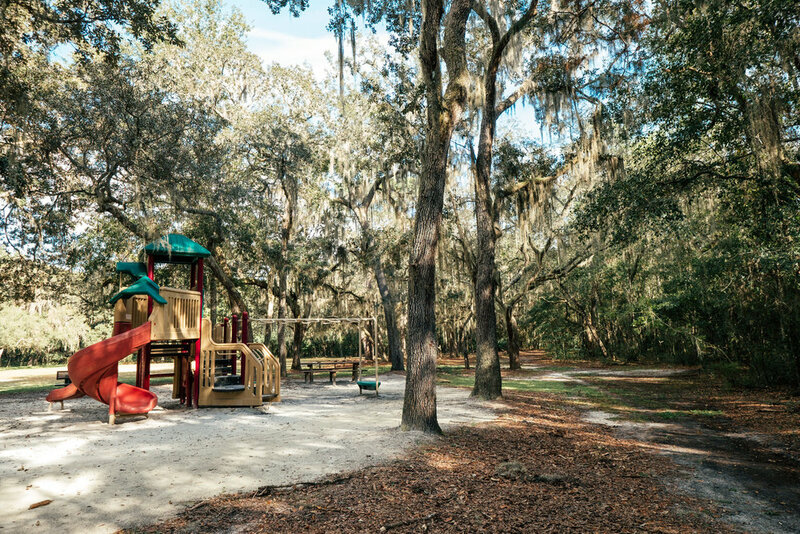 A playground and open field at the center of the park provide for active recreation, while trails pass through the park’s live oak hammock, offering a place for quiet strolls or bike-riding. The park also protects part of the Hogtown Creek floodplain. The park is a sanctuary where plants, animals, and historic and cultural resources are protected by law. Please stay on the established trails and keep pets on a leash at all times. Motorized vehicles, camping, fires and digging are prohibited. Vehicle parking is located at the dead end of SW 40th Street, just south of SW 6th Place.